Tutorial to these soaps is here. 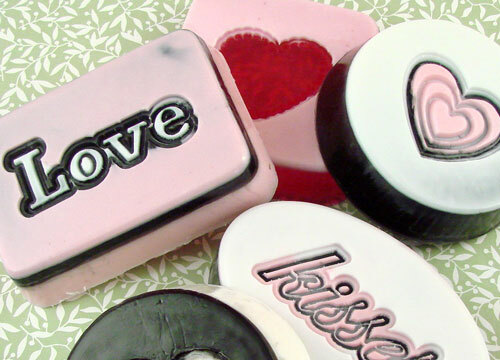 Or you can come learn it from me at Otiontoday at 3 p.m.
Those soaps are so cute! I love how the words are outlined in black.